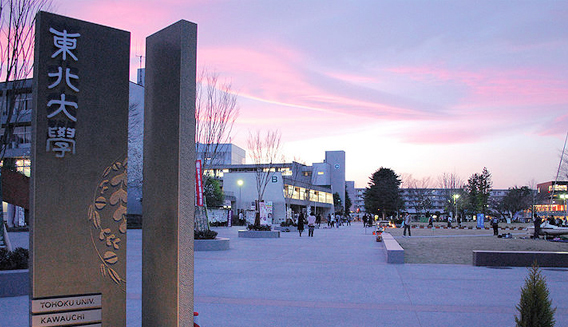 Tohoku University is located in Sendai City, Miyagi Prefecture, in the north east of Japan. Sendai City was founded in the beginning of the 17th century, when Date Masamune, a powerful samurai, was awarded lordship of the feudal domain in which Sendai was located, and built his castle in what was then a small village. Since then, it has flourished as the capital of the north-eastern Tohoku region, becoming a center of culture which continues to produce outstanding literature, music and intellectuality. Today, Sendai is a contemporary city set in lush natural surroundings, which is why it is known throughout Japan as the ‘City of Trees’. Tohoku University was founded in 1907, as the third Imperial University in Japan, after Tokyo and Kyoto. Since its establishment, the University has produced generation after generation of young and talented researchers, who in turn have produced outstanding and creative research findings. At the same time, the University has cultivated the guiding spirit of “research-first”, feeding back such findings into the teaching curricula of the University in order to inspire its students. Tohoku University is also renowned for being the first university to accept women students; the University's “open-door” policy, where it accepts any and all exceptional students regardless of background, has been in place since its inception. Tohoku University is also one of the pioneers of university venture start-ups, which it was generating even before the Second World War. It is the leading center of Family Law research in Japan. Throughout all of its endeavors, Tohoku University has also been fully committed to the principle of “Practice-Oriented Research and Development”, where the University's findings are used to help improve the daily lives of the local and international community. One of the oldest fields of research in which Tohoku University has excelled is metallurgy and materials. The Institute for Materials Research at Tohoku University has, for the past eighty years, established the world standard for research and development in metallurgy and materials; it's very first Director was Professor Kotaro Honda, who remains globally renowned to this day as the inventor of KS steel. In 2007, the Tohoku University Advanced Institute for Materials Research (WPI-AIMR) was established with the intention to create a world-leading research hub dedicated to materials science and the creative development of innovative and functional materials. Tohoku University has also long been a center of research in electrical communication, and has produced such revolutionary research findings as the Yagi-Uda Antenna and the split-anode microwave magnetron. Today, the Research Institute of Electrical Communication at Tohoku University continues to build its reputation as a comprehensive and unrivaled research center, engaged in a broad range of research from devices and software. In addition to this already impressive body of research, in 2010 Professor Hideo Ono and his team at the RIEC established the Center for Spintronics Integrated Systems. The CSIS is committed to playing a pivotal global role in its field, pushing for revolutionary progress in the design and processing of logic integrated circuits through the assimilation of research findings in spintronics devices and semiconductor integrated circuits. 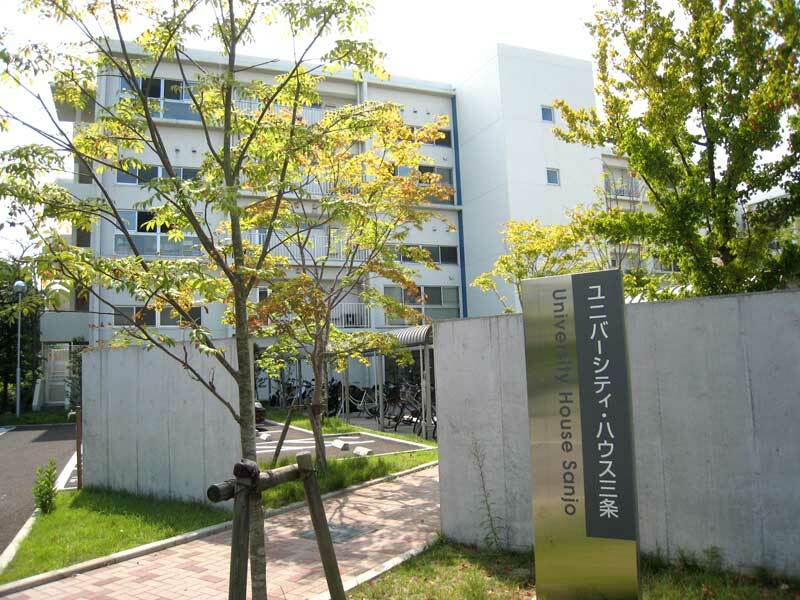 According to figures on citation and impact from Thomson Scientific, Tohoku University ranked, on average, as the tenth best university in the world for physics between 1999 and 2009, and the second best in Japan. The Research Center for Neutrino Science is home to the famous KamLAND detector, a liquid scintillator antineutrino detector, a clear indication of the quality of neutrino research being carried out at Tohoku University. 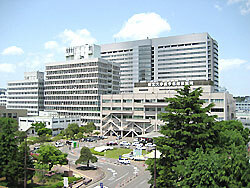 In the field of medicine, the Institute of Development, Aging and Cancer at Tohoku University is dedicated to finding ways to effectively combat and cure the kinds of neurological disorders, such as dementia, that can strike the elderly, as well as types of cancer which are extremely difficult to treat. The University is also a hub of integrated research in neuroscience, and in 2008 established Japan's very first Graduate School of Biomedical Engineering, making Tohoku University an excellent choice for medical students and researchers who wish to receive a uniquely integrated and forward-thinking education. Research in law at Tohoku University is headed up by the highly influential figure of Dr. Zennosuke Nakagawa, who was one of the founders of current Family Law in Japan. As such, Tohoku University is the beating heart of Family Law research in Japan, and has a strong record in producing outstanding graduates in the field of constitutional law. Tohoku University graduates go on to work in diverse fields, and our more prominent graduates include Koichi Tanaka, who shared the Nobel Prize in Chemistry in 2002 “for the development of methods for identification and structure analyses of biological macromolecules”, and Dr. Sumio Iijima, who is renowned for having discovered carbon nanotubes. The University has produced many great literary figures, too, including the poets Hekigoto Kawahigashi and Kyoshi Takahama, and many writers who have won Japan's top literary prizes, including the Akutagawa and Naoki Prizes. Tohoku University has also established the Youthful Essay - Abe Jiro Memorial Prize to commemorate Jiro Abe, an intellectual, thinker and Tohoku University graduate. Tohoku University is the only public university in Japan to offer a public-entry literary prize that recognizes outstanding literary talent among high school students. Since its establishment, Tohoku University has been committed to the transfer of its research def_type1 to practical and beneficial applications in and for society, under the guiding principle of “Practice-Oriented Research and Development”. It has also founded a number of venture companies, and in 2007 was ranked top among all Japanese universities for patents filed. Tohoku University was selected to participate in the Global 30 Project for Establishing Core Universities for Internationalization, run by Japan's Ministry of Education, Culture, Sports, Science and Technology. In accordance with its long-standing “open-door” policy, Tohoku University plans to double the number of international students it welcomes each year over the past decade, from 1,300 a year to 3,000. It will also be offering 16 courses that are taught exclusively in English. Tohoku University is committed to enhancing its global presence through participating in the Association of Pacific Rim Universities, Top Industrial Managers for Europe and the Association of East Asian Research Universities. Tohoku University is also committed to becoming a world-leading university through its international activities and exchange. Kotaro Honda remains posthumously an internationally renowned expert on iron and steel. He is known as the inventor of KS steel and NKS steel, which are both types of magnetic steel. In 1911 he was appointed professor of the newly-established College of Science at Tohoku Imperial University. Hidetsugu Yagi was an electrical engineer, as well as a businessman and politician. He is best known for developing the Yagi-Uda Antenna together with Shintaro Uda while working at Tohoku Imperial University. This collaborative invention was then developed into the patented Yagi Antenna, and Yagi became the first President of the Yagi Antenna Company. He was appointed professor of the Faculty of Engineering at Tohoku Imperial University in 1919. Kinjiro Okabe was an electrical engineering researcher. He developed the split-anode microwave magnetron, which uses a magnetron as a practical microwave source. He graduated with a bachelor's degree in electrical engineering from the Faculty of Engineering at Tohoku Imperial University in 1922. Koichi Tanaka shared the Nobel Prize in Chemistry in 2002 “for the development of methods for identification and structure analyses of biological macromolecules”. He is also a fellow of Shimadzu Corporation. In 1983, he graduated with a bachelor's degree in Electrical Engineering from the Faculty of Engineering, Tohoku University. Sumio Iijima is a physicist and chemist, world-renowned for his discovery of carbon nanotubes and his work in structural determination through electron microscopy. He is considered a strong candidate for the Nobel Prizes in Chemistry and Physics. He was awarded a Master's degree in Physics from Tohoku University in 1965, and in 1968 completed his Ph.D. He held a position as a research associate at Tohoku University Research Institute for Scientific Measurements until 1974. Masatoshi Shima is one of the designers of the Intel 4004, the world's very first commercial microprocessor. He has also been involved in the design and development of multiple other landmark processors, making him one of the fathers of the modern computer industry. He graduated with a bachelor's degree in chemistry from Tohoku University's Faculty of Science. Fujio Masuoka is an electrical engineer who invented flash memory. In 1971, he was awarded a Ph.D. in electrical engineering from the School of Engineering, Tohoku University. Today, Masuoka is the Chief Technology Officer of Unisantis Electronics as well as being a professor at the Graduate School of Information Sciences and the Research Institute of Electrical Communication at Tohoku University. Lu Xun was a major Chinese writer, translator and critic, whose works include The True Story of Ah Q and A Madman's Diary. From September 1904, he studied as an international student at Sendai Medical Academy, which was the predecessor of the current School of Medicine.